While Gail Whiting of Design Consultants NJ is most known for her sophisticated and “of the moment” interiors and show houses, she also designs commercial properties. 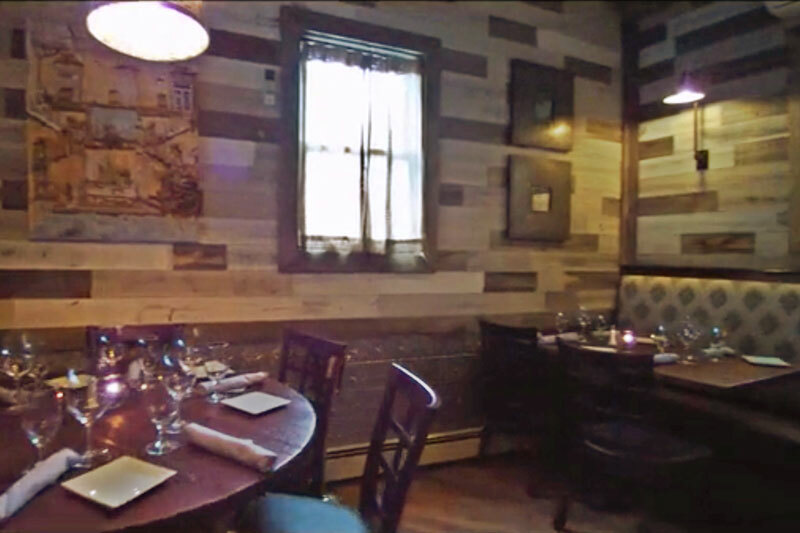 Her most recent project was a fully-gutted restaurant renovation for the Martinsville Taverna, a small upscale Italian bistro in central Jersey. Gail and her husband met Benny Mavraj, the Taverna owner while dining at his other restaurant – Café Azzurro in Gladstone. 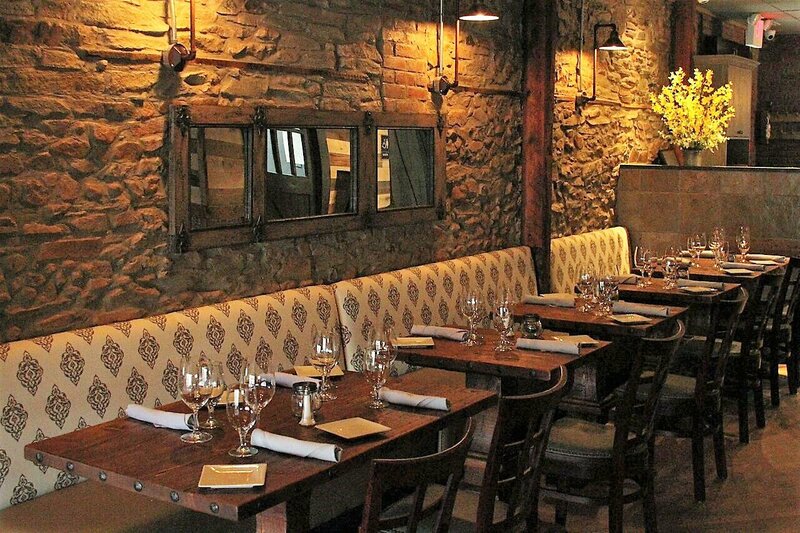 Over time he became familiar with Gail’s work and knew she would be the best designer to bring his vision of recreating the old world charm of an Italian pub to his new restaurant. 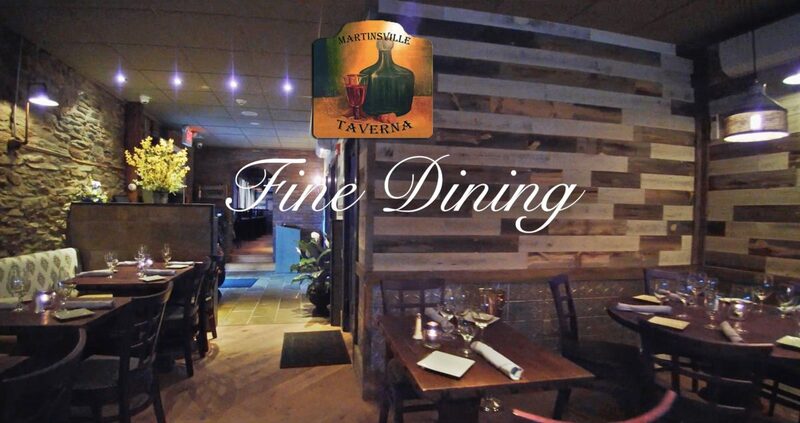 Martinsville Taverna’s brand is an upscale restaurant offering fresh, seasonal Italian cuisine in a warm, inviting and comfortable space reminiscent of an old-time Italian tavern. 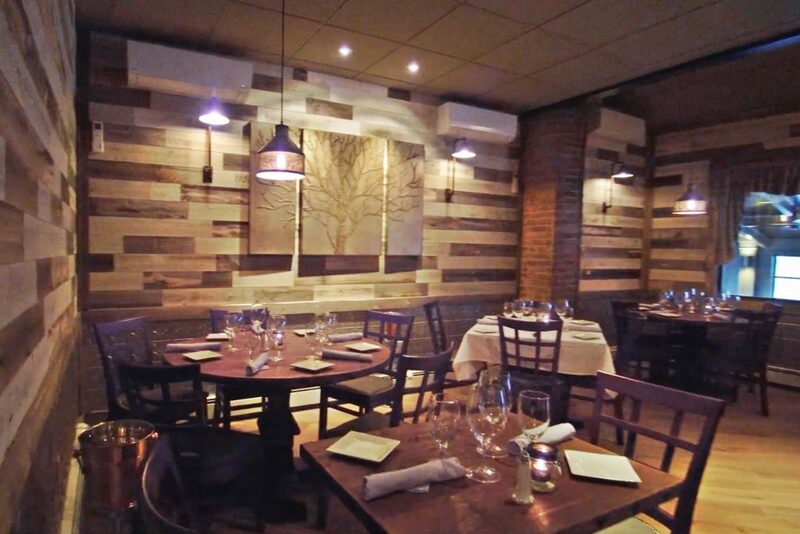 To create this rustic feel, Gail chose deep warm wood tones throughout the restaurant and bar. The original drywall ceilings were torn down exposing the natural wood beams and creating greater height in the room. For some of the walls, Gail used a natural two-tone barn wood paneling with a Victorian tin for the dado. On others, she uncovered and exposed the wonderful original stone, enhancing the charm and the old world Italian theme. For the floors, Gail chose a combination of hardwood and stone. She used Tuscany-themed artwork sparingly on the walls including one especially pretty piece made from distressed wood and mirrors. The mood lighting reinforced the look with custom-made copper pendants in the bar area and a mix of copper and metal custom-made pendants in the dining area. Gail framed the existing front windows in a country-plaid fabric while she draped the side windows in textured-linen gauze. Second, only to the menu, the ambiance and comfort in a restaurant is key to an enjoyable dining experience and repeat business. With that in mind, Gail chose comfortably spaced tables accommodating both large and small groups. She gave customers the choice between comfy upholstered banquet seating in a damask fabric or free standing wood chairs with muted-green leather cushions. She chose simple, casual tables in dark wood without tablecloths. 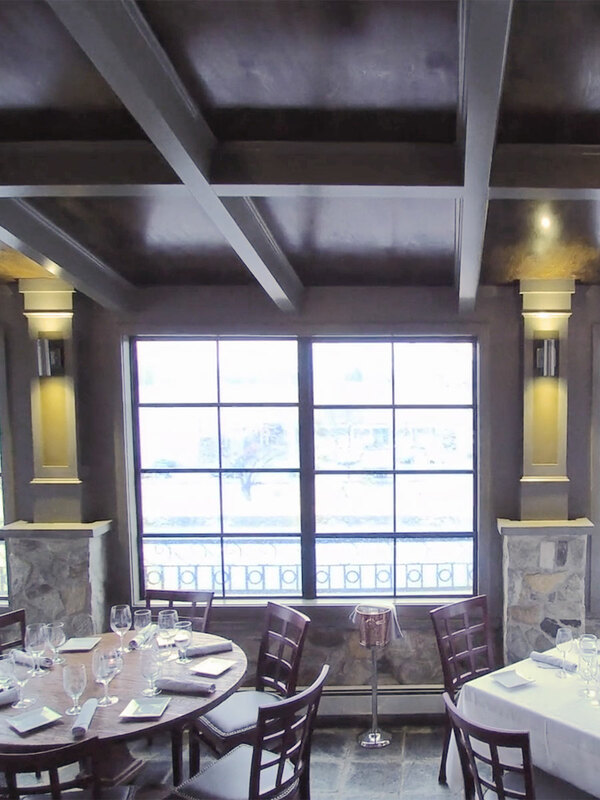 Although the interior of this restaurant has many physical comforts for patrons to enjoy, adhering to the many building code requirements is equally important for a designer in the planning stages of a commercial property. 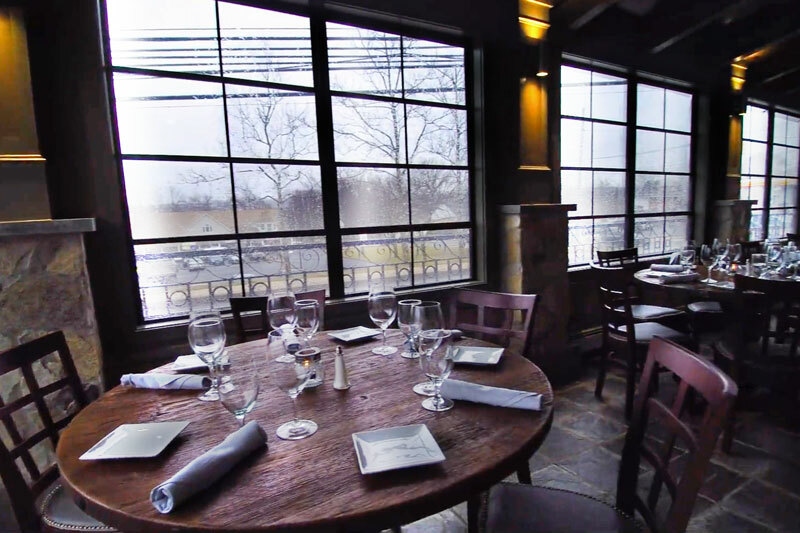 Gail accommodated the restaurant for handicap accessibility, customer safety, and acoustics. Good acoustics are extremely important throughout the restaurant to allow customers to easily have a conversation during a meal. Like a home, Gail believes a well-designed restaurant is made of rooms that flow from one room to the next. In the case of the Taverna, the entrance allows customers to go left for the more private-feeling bar or to the right, to more spacious dining areas. There is still a sense of intimacy even in the main dining areas. Customers can also choose to enjoy a more private alcove and a veranda that are accessible all year round with windows and a special fish pond that few people know about — home to two large eels and many goldfish! 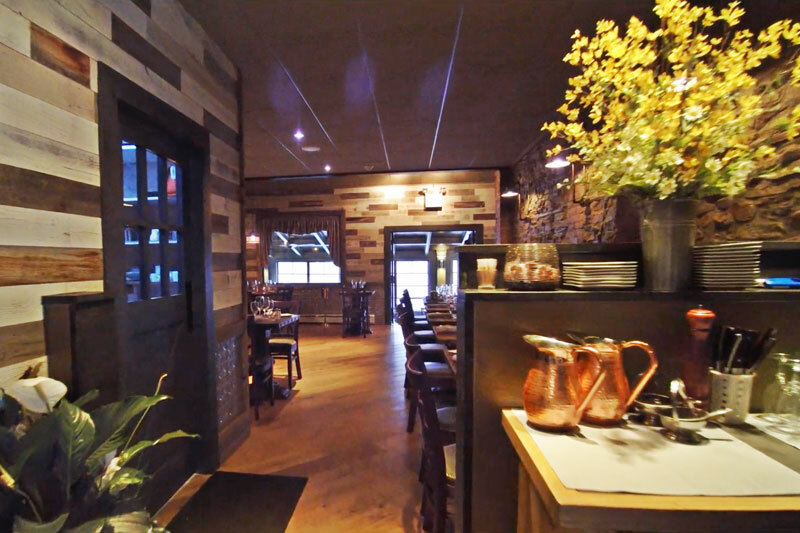 Click the button below to visit the Martinsville Taverna website to view their menus, hours, purchase a gift certificate or make a reservation.